Since ProjectionDesign released the F80 WUXGA projector in 2009, quite a bit has changed. For starters, Barco acquired ProjectionDesign in 2013. Plus, the projector has since been replaced by the Barco F85. So not only is the company no more, so is the projector. Even so, in 2009, ProjectionDesign’s WUXGA large-venue projector was an intriguing, and very expensive, piece of hardware. The projector was equipped with 3-chip DLP technology that delivered 8,500 lumens of brightness combined with an unprecedented contrast ratio of 15,000:1. It was a powerful, top-of-line projector widely used for simulations and industrial design, and one of the most state-of-the-art 3-chip projectors available. And it was costly. Today, even, a used, B-stock version costs nearly $20,000. But it was well worth the investment. The projector delivered unparalleled performance, exceptional image quality, and powerful optical calibration, thanks to ProjectionDesign’s Advanced Color Optical Processing. 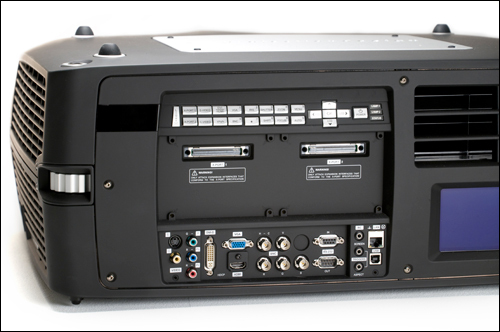 Looking back at the F80 is useful for providing insight into Barco’s current line-up of projectors. Color Accuracy. This wasn’t just a large-venue projector with a high brightness output. The color accuracy it provided was off-the-charts. The ACOP technology combined a series of independent filters for each color channel, which delivered enhanced optical calibration. Plus, brightness and color output could be tailored to the application, whether for HD video or live performances. Precise Optional Lens Selection. The F80 WUXGA was available with a range of optical lens, providing installation flexibility and impressive performance. The lens selection included a full range of options from an ultra-wide-angle to telescopic zoom, and each lens allowed users to adjust aperture, iris, focus and zoom for the specific application. Low-Maintenance, Long-Lasting Performance. The F80 was constructed to require little maintenance while in use. For instance, it was equipped with a dual 330-watt lamp system, part number 400-0700-00, to increase brightness and lamp life. The F80’s lamp module achieved 1,700 hours of life in standard mode, 2,000 hours in eco mode and 4,000 hours in the relay mode, alternating between the two lamps. Plus, the filters didn’t require regular replacements and there were no serviceable parts. At the time, the ProjectionDesign F80 WUXGA was one of the best, but even today, its performance is still excellent. The F80 is still widely used in industry, including the full HD version in large venues that require video, and the WUXGA version for simulation and research applications. Considering its power, it’s easy to understand why there’s still a used and rental market for this projector. Looking for a ProjectionDesign F80 WUXGA replacement lamp? MyProjectorLamps is your source. We deliver OEM replacement lamps throughout North America, at the best prices, on-time and with an unbeatable customer experience. Start shopping for replacement projector lamps today.